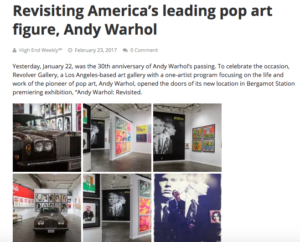 Yesterday, January 22, was the 30th anniversary of Andy Warhol’s passing. 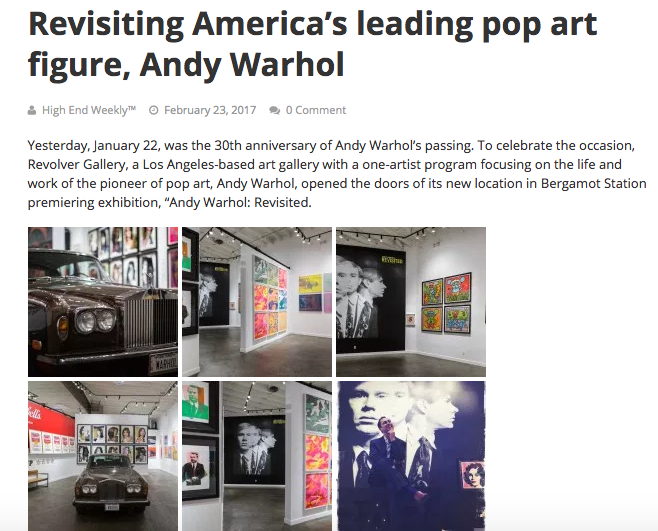 To celebrate the occasion, Revolver Gallery, a Los Angeles-based art gallery with a one-artist program focusing on the life and work of the pioneer of pop art, Andy Warhol, opened the doors of its new location in Bergamot Station premiering exhibition, “Andy Warhol: Revisited. Visit High End Weekly to read the article.